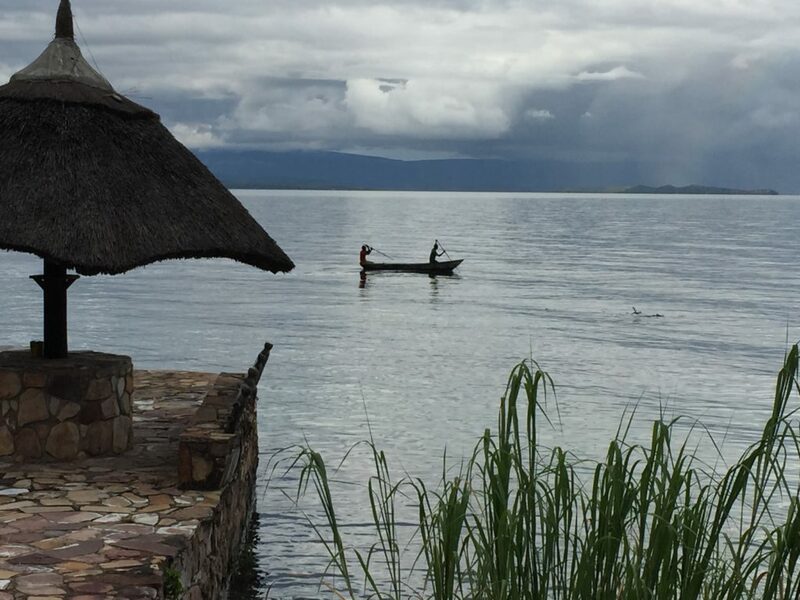 We recently packed our cars and headed North of Lusaka to visit some friends on Lake Tanganyika. The drive to the lake is very long so we planned a stop along the way. 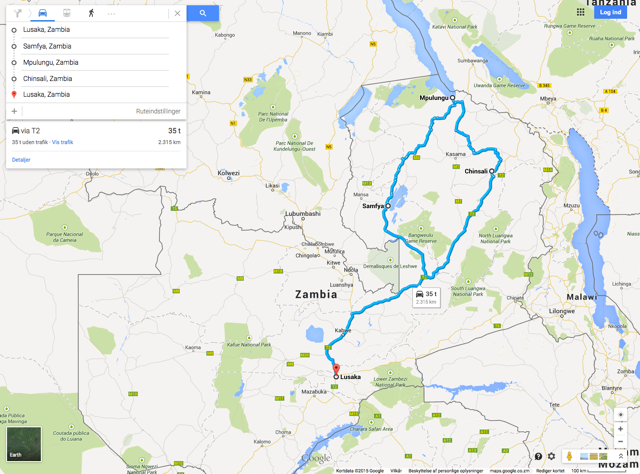 To beat Lusaka traffic, we left very early in the morning and headed towards Samfya on the coast of Lake Bangweulu. The first stop on the way was at the Fig Tree Café in Kabwe, where we stretched our legs and enjoyed their amazing coffee and cakes. 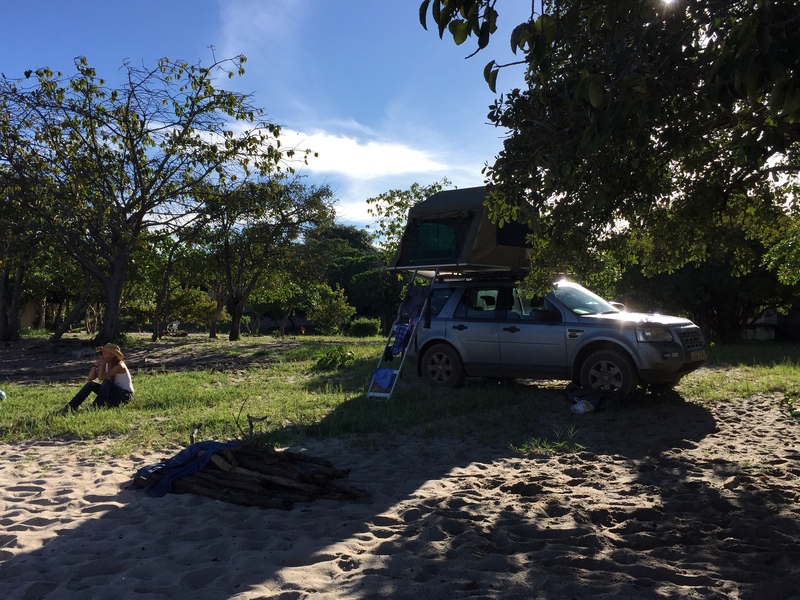 We hadn’t booked any accommodation in Samfya, but had brought our tents and high hopes of sleeping on the beach. 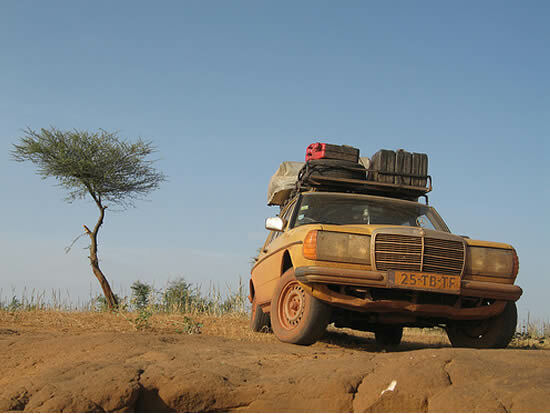 Upon arriving in Samfya we drove straight to the sandy beach and started asking around for a good place to sleep. It didn’t take long before we had found a cozy spot where we could pitch our tents right on the beach. 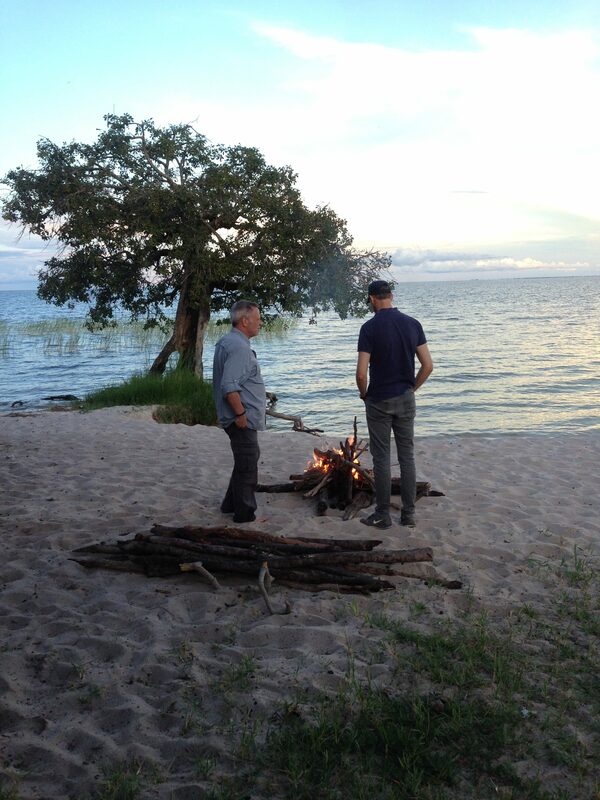 In true Zambian style we were quickly able to arrange firewood from the local men and a sunset “cruise” with a small motorboat. The lake is massive and very pretty. However, the boat and the captain were not too good and we ended up getting stuck on the lake for quite some time. One of us lost our patience and decided to jump in the water and swim back to the shore. Not sure about the croc situation, but there were no attacks this time. Camping was very nice on the beach and we spent the evening around the campfire deep in conversation. The next morning we headed out of town after a quick breakfast towards Mpulungu. The drive there was extremely pleasant as the roads are new and wide and there is very little traffic. The view of Mpulungu and Lake Tanganyika hits you suddenly as you climb over the top of a hill. It is truly stunning! At Mpulungu we left our cars by the dock in the parking lot of a small restaurant and were picked up by a boat that took us to Kalambo Falls Lodge, where we would spend the next 3 days. Lake Tanganyika is one of the most beautiful places I’ve ever visited in Zambia. The expansive lake, the green mountains surrounding it and he small fishing boats make it seem so idyllic. 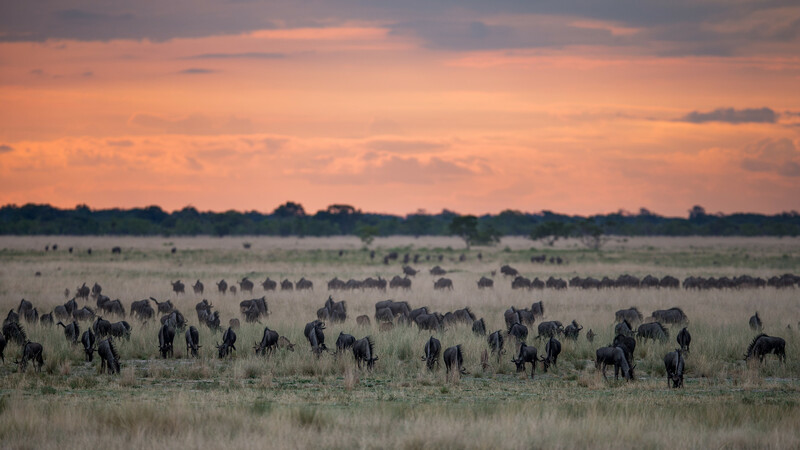 Kalambo Falls lodge offers beautiful views, great service and very comfortable and cute cottages. 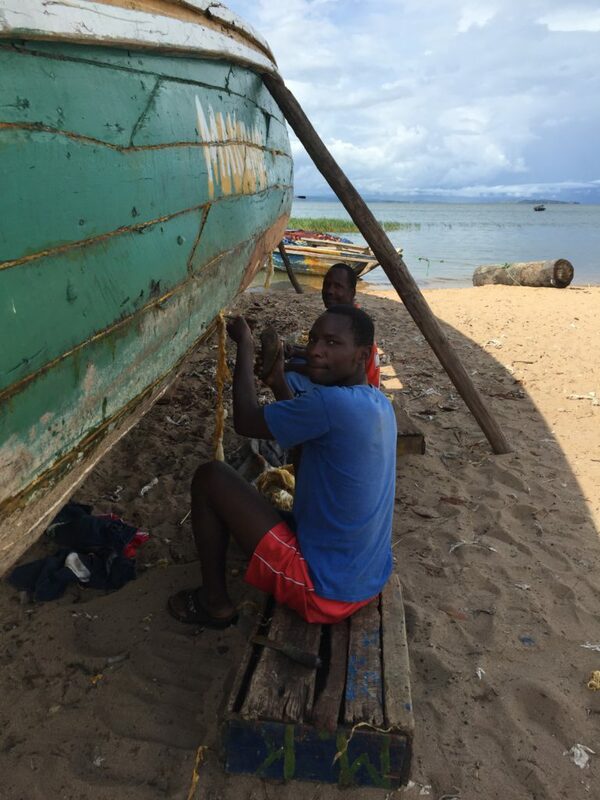 During our stay we relaxed on the beach, went snorkeling and swimming in the lake (they claim that there are no crocs along the Southern shore) and took a boat trip to a small village in Tanzania where we saw the true craftsmanship of boat building. In the evenings we enjoyed freshly caught fish from the lake. The highlight of the trip was definitely the hike to Kalambo Falls. We hired a local guide at the lodge, who could navigate the mountains. 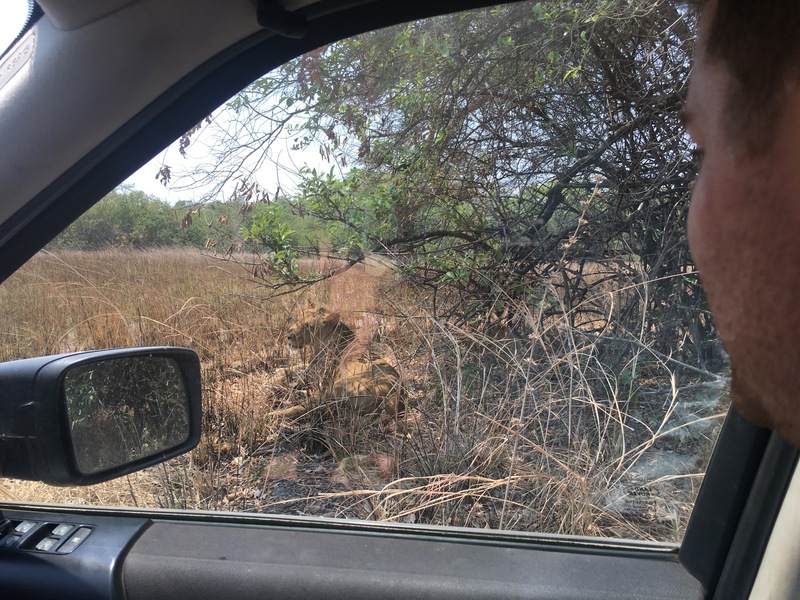 The hike was tough, but exciting, as we climbed the steep terrain that took us through thick bush, rocks, dust and at least one visible snake. We kept a good pace and the ascend took us about 1.5 hours before we reached the falls. 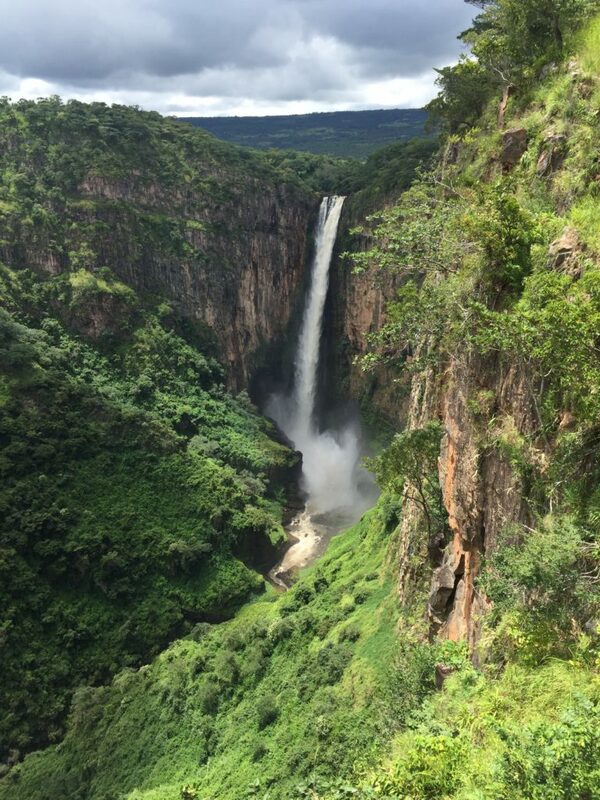 Kalambo Falls are magnificent and stunned us all. A single long drop of 235 m in a narrow canyon. And you get the view all to yourself as the difficulty of reaching the place significantly limits the number of visitors. There was a small pool near the edge of the falls where we could all cool off after the strenuous hike. The we took the trail along the edge and got to see the falls from further away. After a couple of hours we climbed back down the mountain and ran to the shores of the lake and dove in. Unfortunately we had to leave after just 2 nights, leaving behind us he beauty and peacefulness of the lake. We had a stopover at the historical Shiwa Ngandu along the way and camped near the hot springs of Chinsali before heading back home to Lusaka. The whole trip only lasted 6 days. 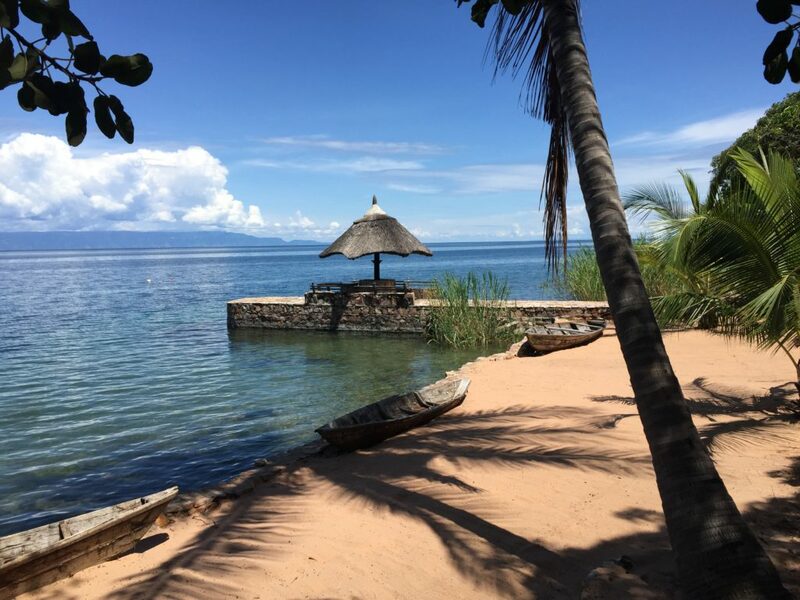 Next time I would probably spend a few more days at Lake Tanganyika as the journey is so long and the destination utterly charming and relaxing.